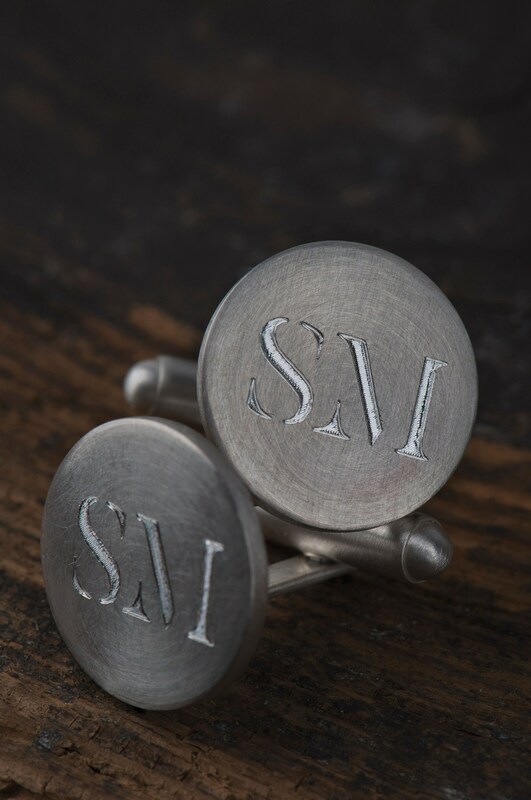 Are you looking for custom monogram cufflinks for yourself or somebody close to you? 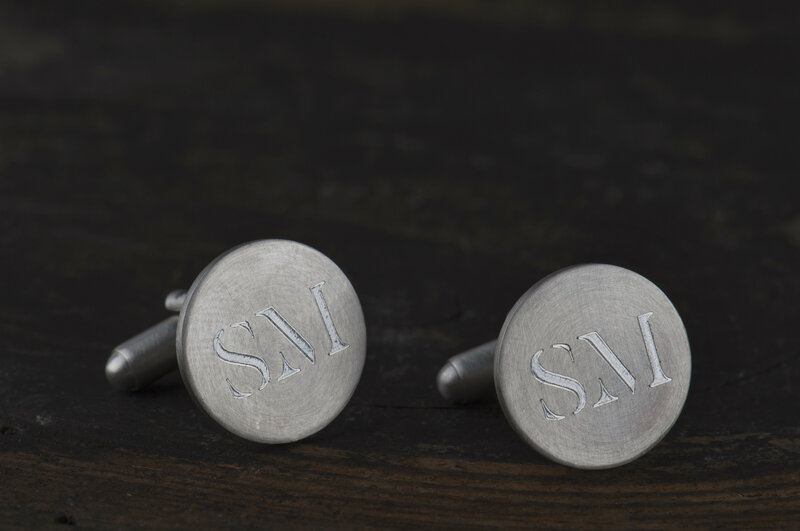 Here is a set of personalized cufflinks with initials. 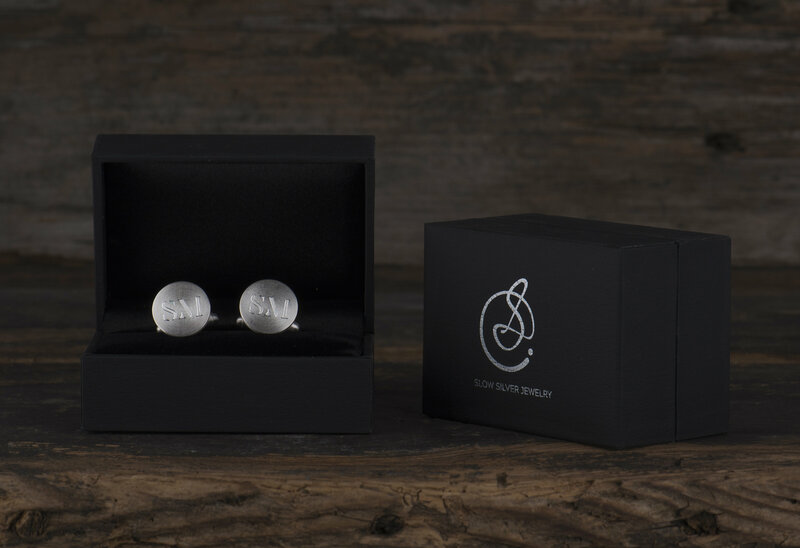 If you order these cufflinks you'll receive unique jewelry, designed specially for you. 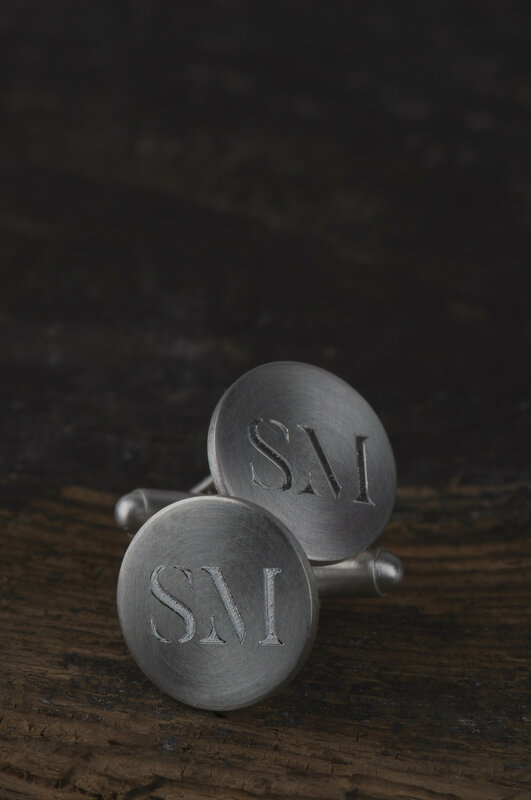 You can find many monogram cufflinks on the Internet and of course here on Etsy. What's special in these ones? 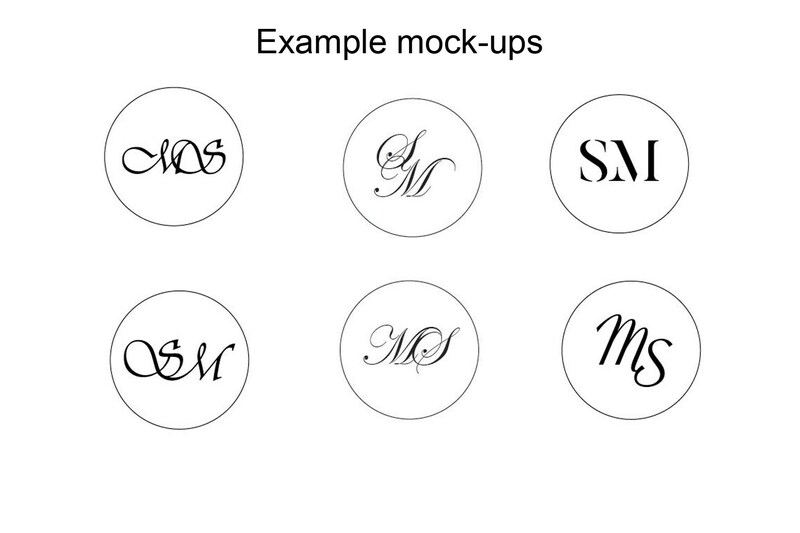 I offer you at least four variations of initials which will be designed only for you. 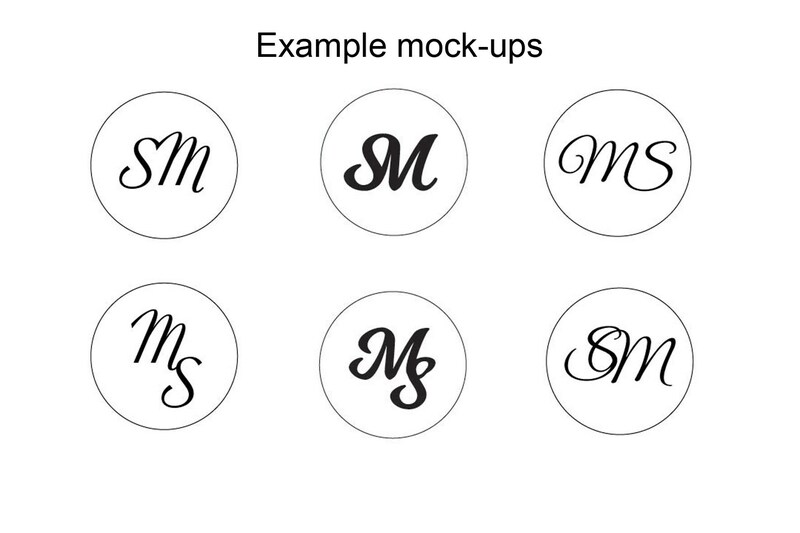 You can choose the one you like the most and if it will be necessary we could make corrections until you'll be satisfied with the effect. 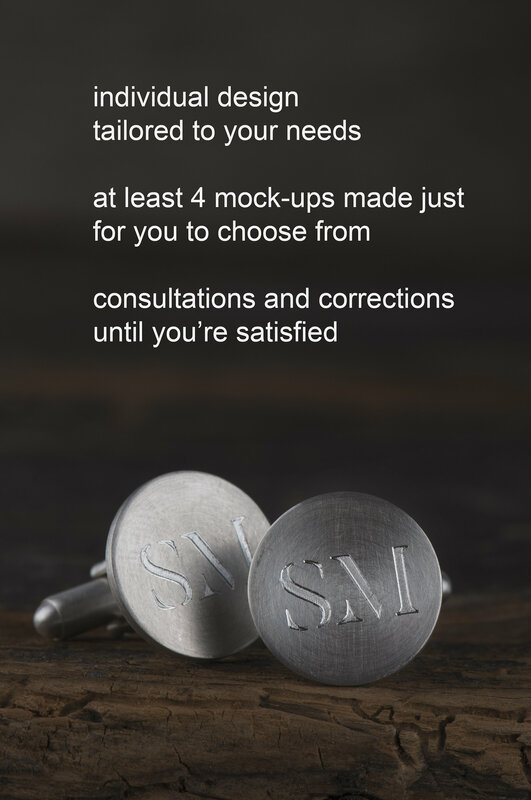 It's more a custom order than a ready product and it's all about being personal. 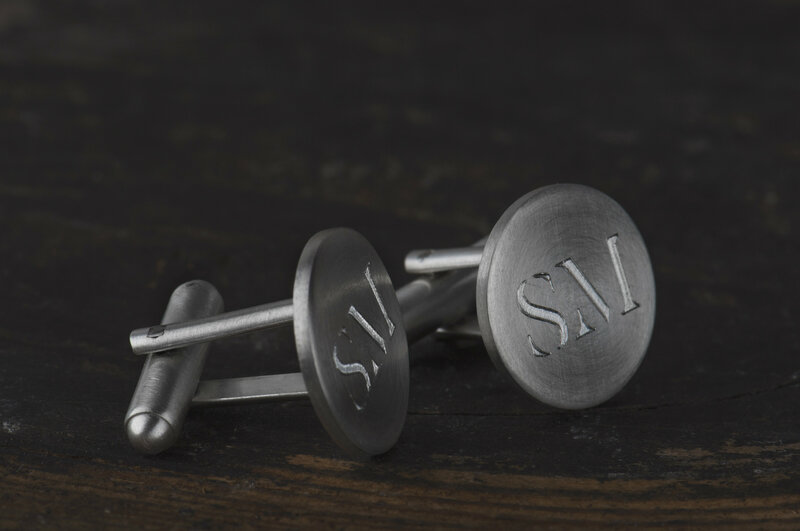 I will work with you step by step - that's why it's really important for me to be in touch with you until cufflinks will be ready for shipping. 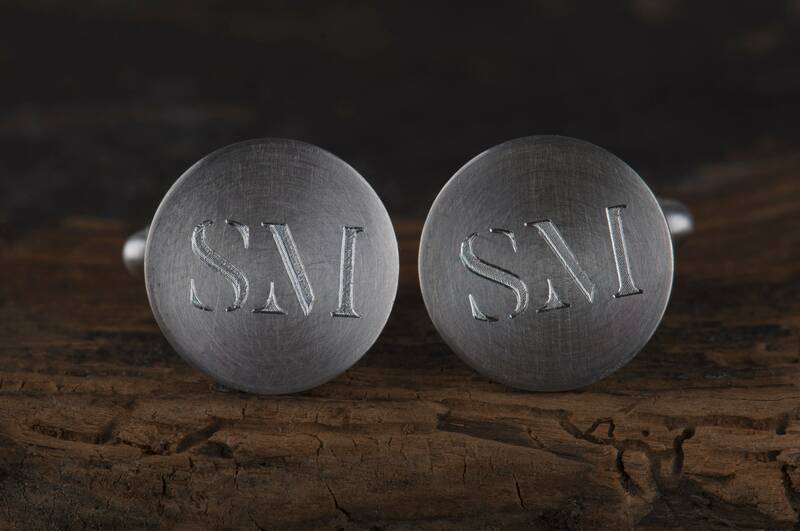 Processing time for these monogram cufflinks is a little bit longer - I need week or two to make design for you and engrave it :) If you have any questions feel free to ask - I gladly answer all of them. 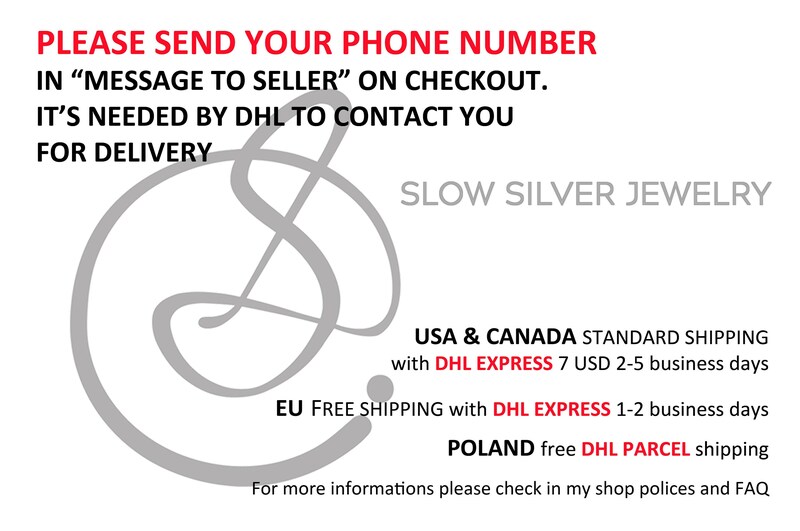 If you have any doubts before ordering also don't hesitate and send me a message - I'm here for you!